Sacrifice is a Canadian thrash metal band originating from Scarborough, Ontario. The band was formed by guitarists Rob Urbinati and Joe Rico in 1983 and is rounded out by bassist Scott Watts and drummer Gus Pynn. 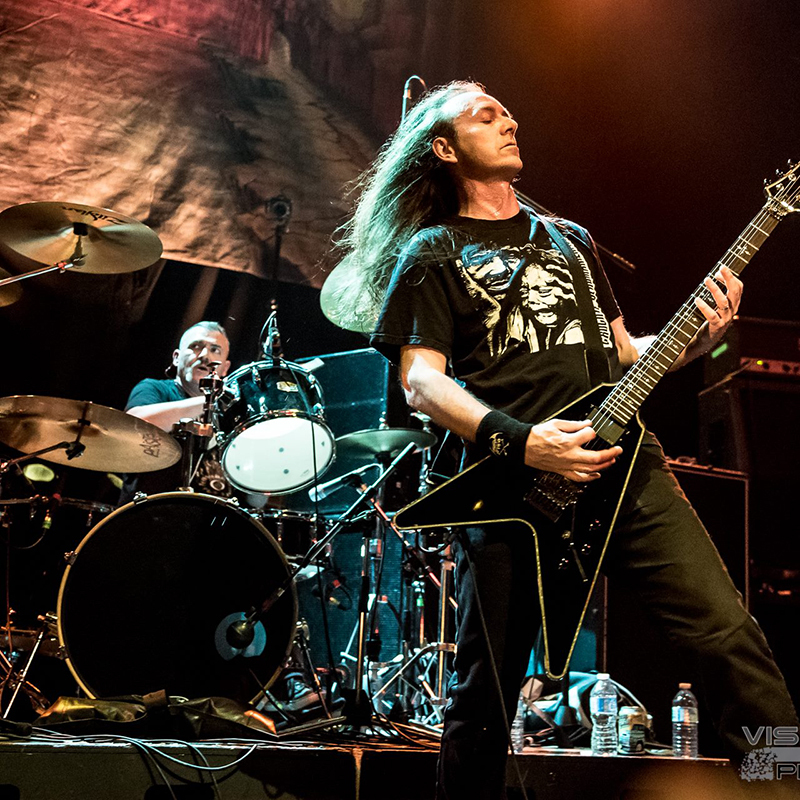 Sacrifice played a prominent role in the 1980s underground metal scene in Toronto, and along with Voivod, Razor and Annihilator, is considered one of the “Big 4” of Canadian thrash metal. The band released four studio albums on Diabolic Force (Canada)/Metal Blade (USA) /Roadrunner Records (Europe) before parting ways in 1993. After coming back together to play a reunion concert in 2006, the quartet released their fifth studio album The Ones I Condemn in 2009. Since reforming, Sacrifice has played a number of big international festivals, including Germany’s Keep it True, Ai-Apeac in Peru, Maryland Death Fest in the United States and both the 2012 and 2018 editions of Japan’s True Thrash Festival, amongst others. Their headline appearance at this year’s Mud City Meltdown in Moncton will be their first Maritimes appearance in over 27 years.